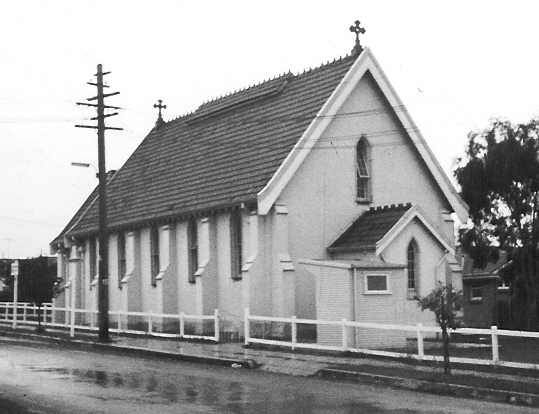 St Anne’s Catholic Church, Strathfield South (1964). (c) Cathy Jones. In 1837, Catholic priest Father John Joseph Therry [1790-1864] received a land grant of 47 acres in an area called ‘Bark Huts’ [now Strathfield South]. Therry was a prominent figure in the establishment of the Catholic Church in the early colony. Fr Therry’s intention was to create a village with a Catholic Church at its’ centre. Though this plan was never fully implemented as land was subdivided and sold to pay for the building of St Ann’s Church, the village square conceived by Fr Therry is still in evidence today. The church stands in centre of the village square and was built between 1859-64. The streets of the Village of St Anne’s were named for prominent ecclesiastics of the time. The current St Anne’s Church was built in 1966. What are the duties that are carried out from the Parish Council? Congratulations on your anniversary. OK to print. Hello, will the parish be celebrating the feast of St Anne this month? You will need to contact the church directly.